Three and a half years ago I underwent a cholecystectomy which meant I had to make a few changes to my diet. When you don't have a gallbladder you're supposed to give up high fat meats and processed foods but as these didn't form part of my diet beforehand (and after taking advice from a nutritionist) I decided to cut my dairy intake instead. For the first year post-surgery I gave dairy up altogether and felt amazing. As a result I know for sure that dairy doesn't agree with me, although I've allowed myself small quantities on special occasions since then - what's Christmas Day without the traditional Earley cheeseboard after all! I've also juiced regularly for the past five years but after my surgery I started to grow my repertoire of juice and smoothie recipes (dairy free, of course). Juices and smoothies are different things (the indigestible fibre is removed from a juice) and I enjoy them at different times. Generally I prefer juices but there's definitely a time and a place for a smoothie! They're much more filling and work well as meal replacements for me - or as a post work out snack. I've experimented by adding different dairy alternatives to my recipes, and think I might have found my new favourite! I'm not going to lie to you - I'm not usually a massive fan of coconut milk. Coconut water - yes. Yes yes yes yes YES! But I often find coconut milk has an odd texture, plus the canned stuff that I've used to cook with before is very high in calories. 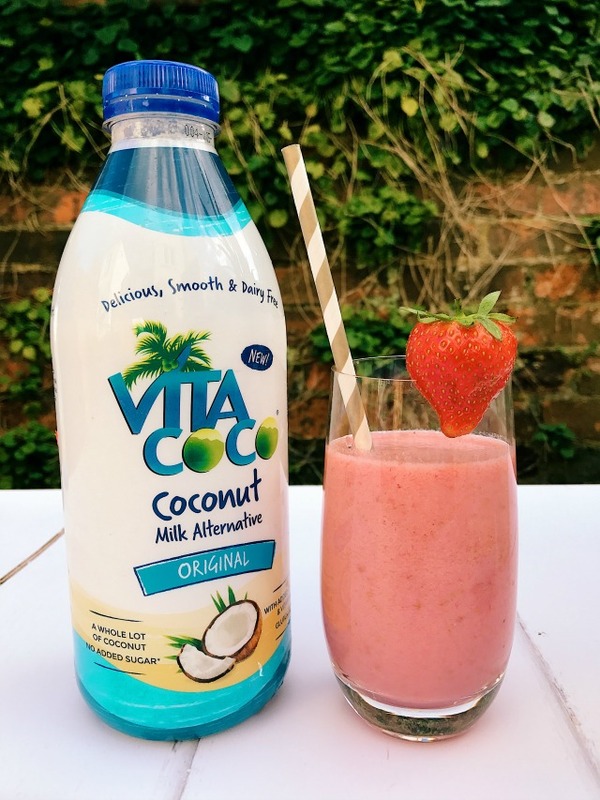 But Vita Coco coconut milk is fresh and, although thinner and I've yet to try it when cooking, is a fraction of the calories and also rich in fibre, vitamins and minerals. 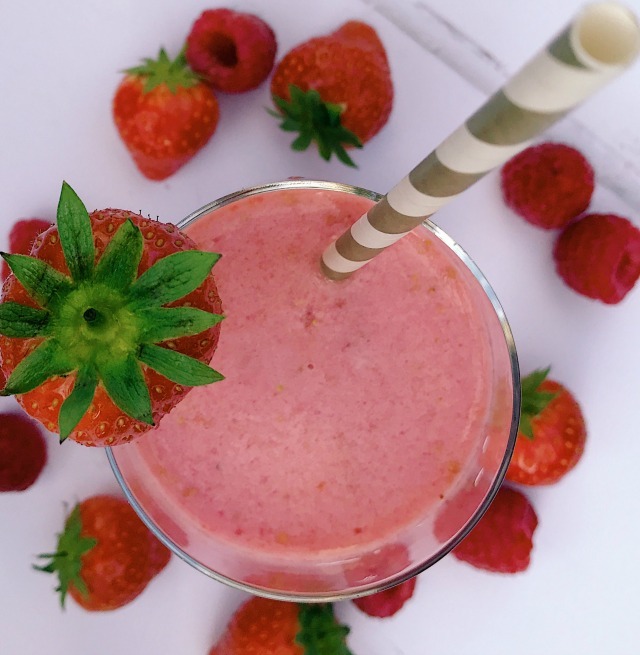 It's also lactose free and naturally sweet - so the perfect ingredient for a filling breakfast or post-school smoothie. During half term, I was sent some samples and I whizzed up some super simple and delicious summer fruit smoothies for myself and the girls. We used fresh berries but frozen would have worked just as well, and they were absolutely delicious - just ask Evie if you don't believe me! 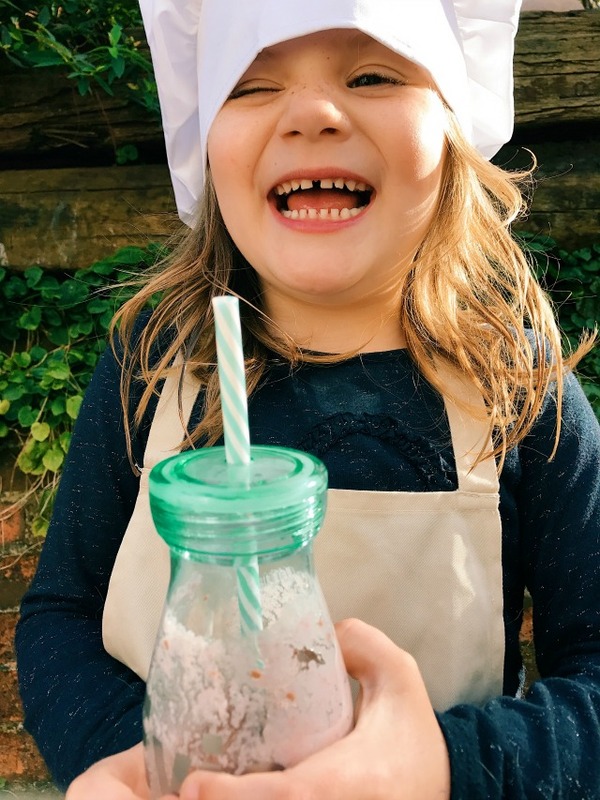 The best bit about making smoothies is that they are always a massive hit with the kids - and I think they make the perfect post school snack. They're filling, but still leave plenty of room for dinner, plus they're an easy way to sneak a couple of their five a day into their diet. I love introducing the girls to new foods like Vita Coco, especially when they're super healthy! DISCLAIMER: Vita Coco sent me samples of their coconut milk but I was under no obligation to write this post.